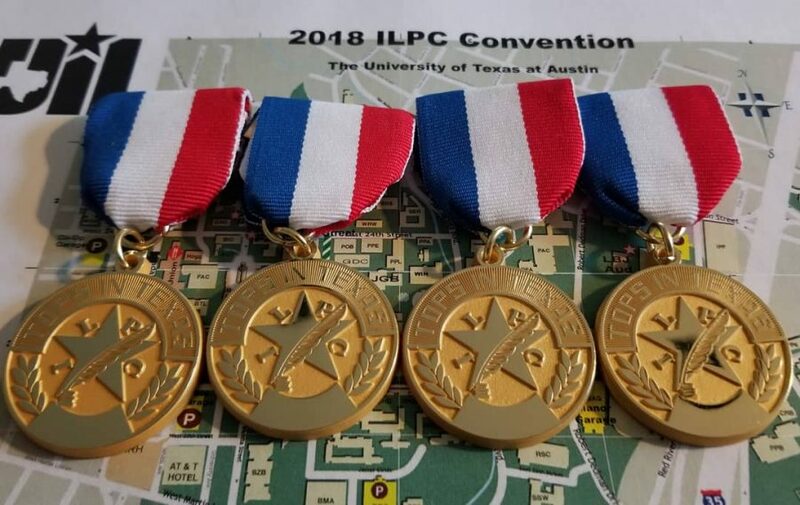 MacJournalism captured four Tops in Texas Awards at the 2018 ILPC Spring Convention at UT on Saturday. MacJournalism had a good weekend competitively at the 2018 ILPC Spring Convention at UT. The Shield earned a Silver Star Award at the Grand Awards Ceremony for the second year in a row. The Shield Online earned a Bronze Star Award. 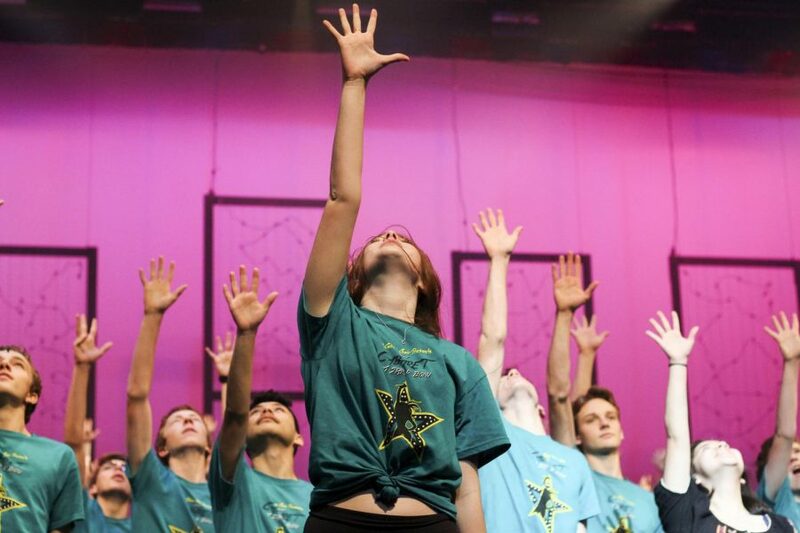 It’s the first Star Award for the website in school history. 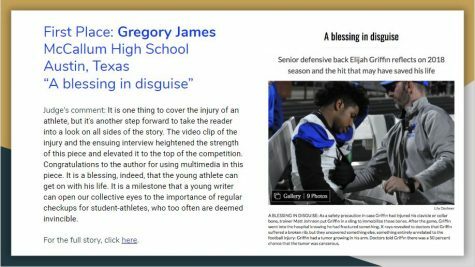 MacJournalism also won four Tops in Texas Awards at Saturday’s awards ceremony. 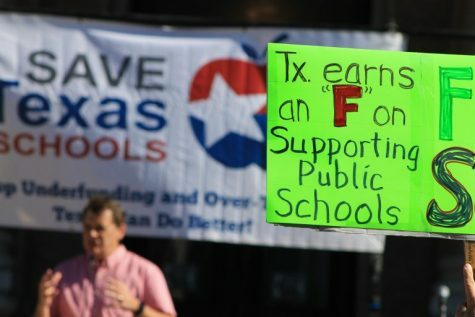 To win a Tops in Texas Award, a student entry must win first place in its UIL classification and then beat out all the other first-place winners from the other five classifications. 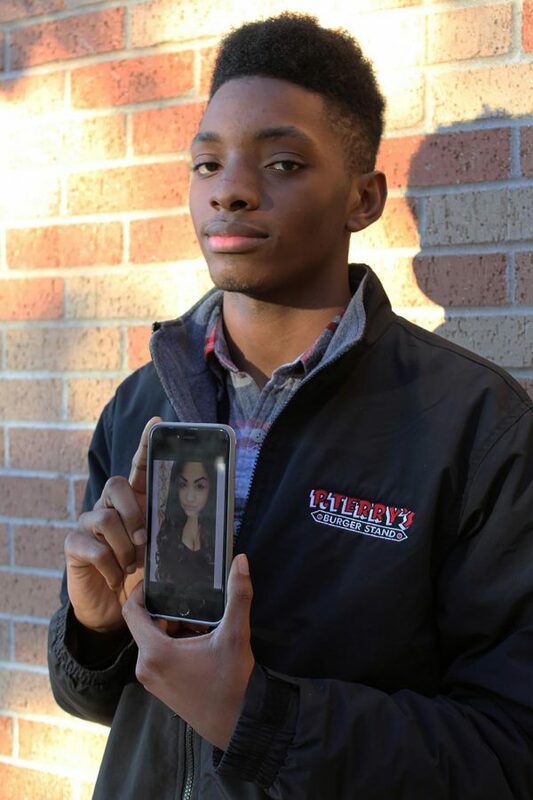 Senior Charlie Holden won Tops in Texas in the yearbook personality profile category; senior Grace Brady won for her yearbook student life photo. 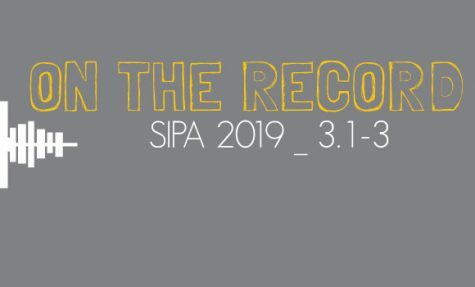 Junior Sophie Ryland won for her print newspaper news story, and Ryland was part of the reporting team that included Kesley Tasch, Mia Terminella and William Tyree that won in the online in-depth news/feature package category. In addition to the Tops in Texas winners, MacJournalism captured 81 total 5A Individual Achievement Awards, including 12 first-place awards. See the complete list below to view all the winning entries. We have not yet linked the winners of the Current Yearbook competition because the yearbooks have not yet been distributed. After they are distributed, we will add the links so everyone can see those winners. 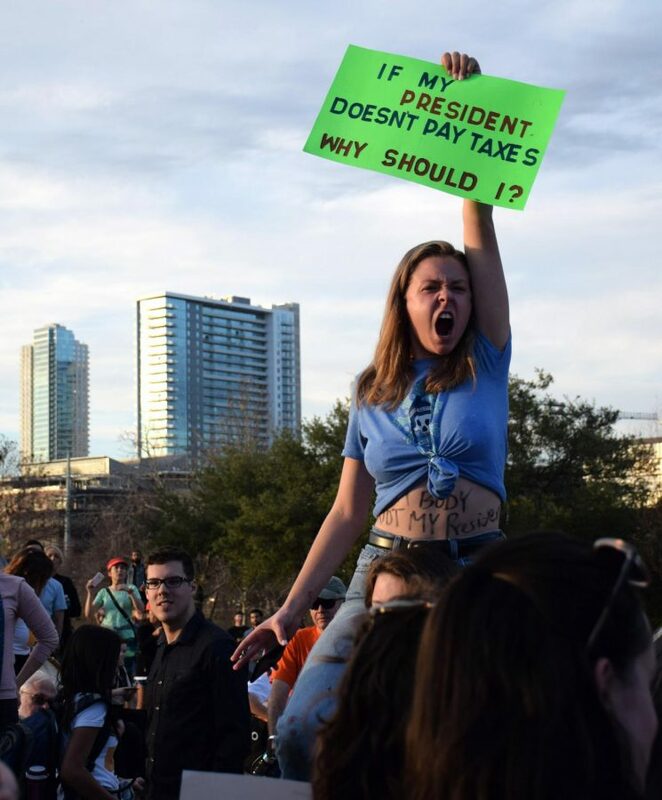 TAXING HER PATIENCE: Senior Bella Cude brandishes a sign that criticizes President Trump’s refusal to release his tax returns while wearing another protest message—”My Body, Not My President”—across her stomach. 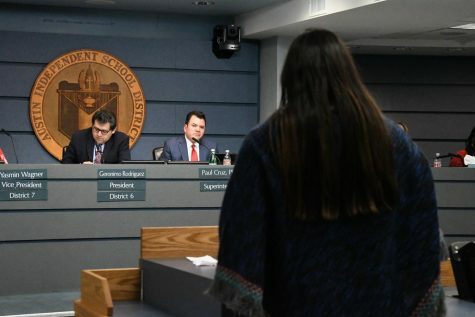 As many as 200 McCallum students walked out of school on Inauguration Day at the start of fourth period to join the thousands of protestors who assembled at Auditorium Shores. 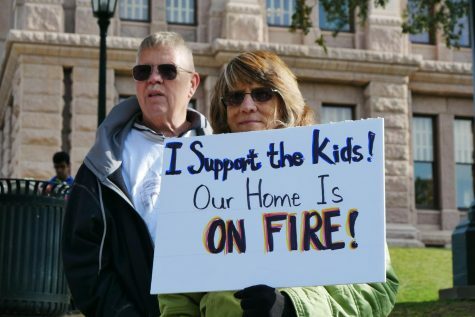 “It was really liberating and empowering to see everyone rally over one cause,” Cude said. Photo by Grace Brady. 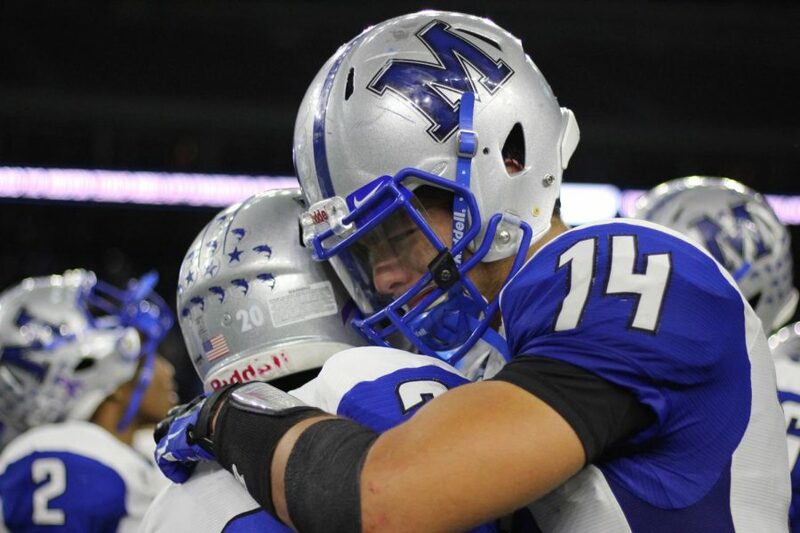 FOREVER KNIGHT: Max Perez scored three touchdowns in his final high school football game, a 49-21 loss to College Station in the 5A Division 2 state semifinal game at NRG Stadium. After the game he consoles teammate Deron Gage who set up Perez’s final TD with a long run for a first down. The loss was the Knights’ first loss of the season. 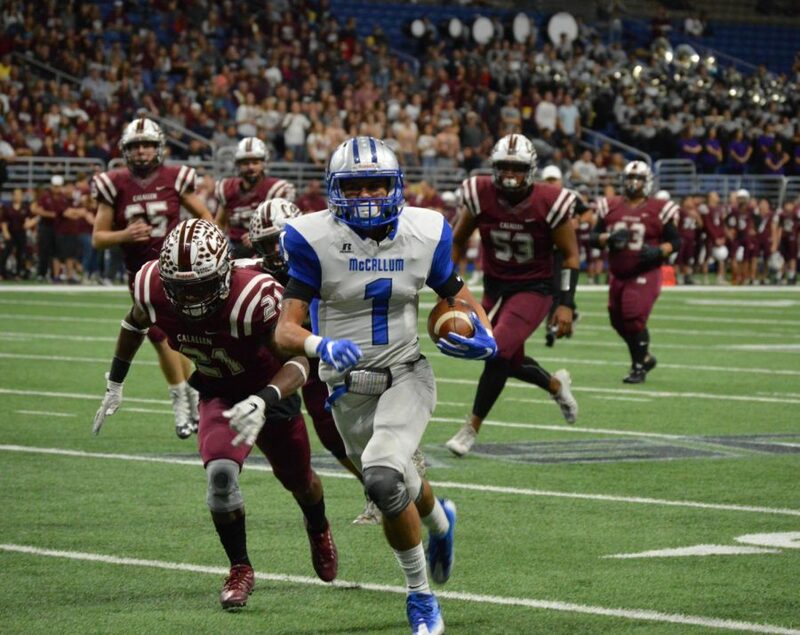 McCallum ended 14-1, with the most runs and the best playoff finish in the school’s 64-year history. Photo by Madison Olsen. 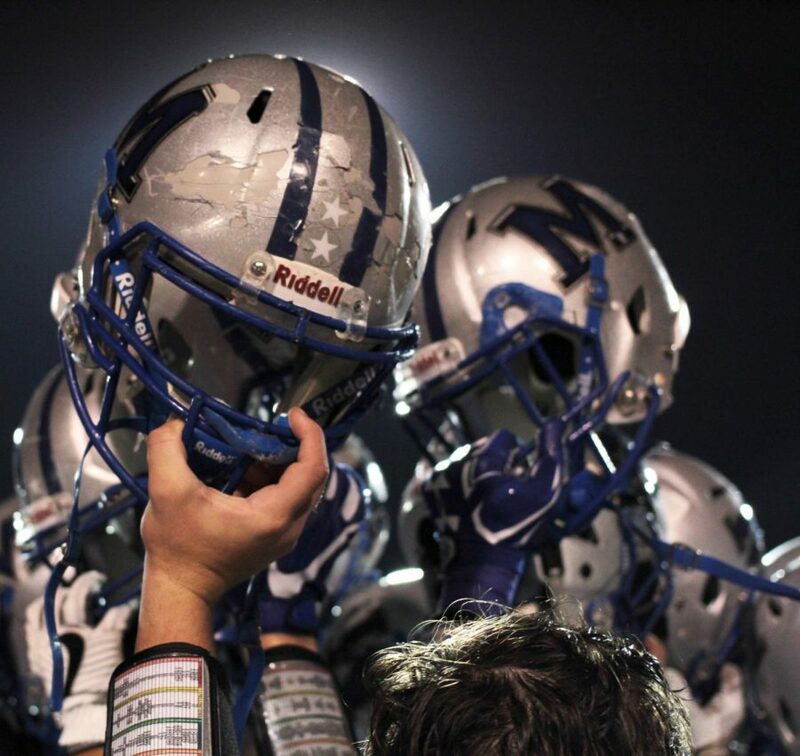 The Knights raise their helmets in celebration after defeating the LBJ Jaguars, 38-33 on Sept. 29 at Nelson Field. Photo by Ian Clennan. Choir member Emma Wallace is front and center as the entire cast takes the stage to perform the ensemble song, “The Rhythm is Going to Get You.” This afternoon marked the choir’s closing show of its annual Cabaret performance, which this year had the theme, “A Star is Born.” Photo by Madison Olsen. A PERFECT 10: Running back Alexander Julian and placekicker Ian Carson teamed up to score a touchdown, extra point and field goal as the Knights opened up a 10-0 lead over Calallen after the first quarter of the 5A Division 2 Region IV final. Carson also recovered a fumble as part of a shutout quarter for the Knight D. The Knights went on to win the game, 20-7, and reach the 5A D2 Final Four. Photo by Charlie Holden. 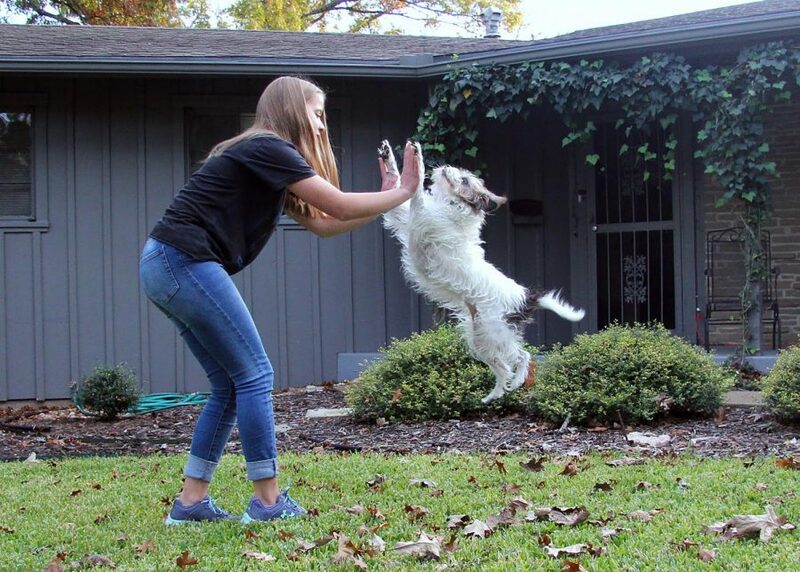 BEST FRIENDS FUR-EVER: Kristen Tibbetts and her dog Ivy exchange a high-five. Ivy has been a part of their family for five years and is loved by everyone who meets her. Ivy knows many tricks. Some of them she learned from a class at Petsmart that Ivy and Kristen attended (such as jumping through hoops), and some she learned from Kristen herself (skateboarding). “I found her at a shelter, and she was the only dog that really caught my attention,” Kristen said. “I guess when I first saw her I just knew that she was going to be my dog.” Photo by Sarah Slaten. 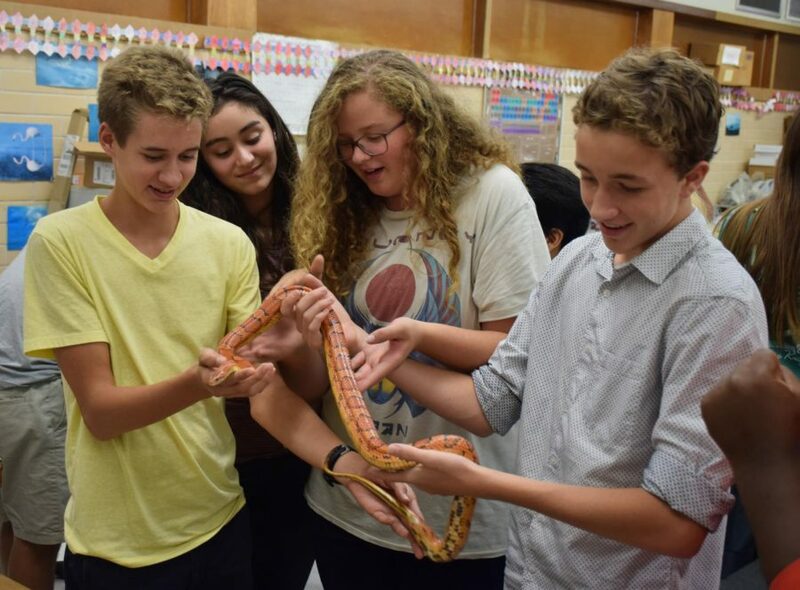 A NARROW FELLOW IN THE CLASS: Freshmen biology students, including Ian Clennan, Kelsey Tasch, Sarah Schneider and Duval Bingham, got a visit from Mr. Whiz’s snake Rusty during third period on Nov. 11. “The snake was awesome, and we got to hold it, which was pretty cool,” Bingham said. “It could wrap all around your arm. I’ve held other snakes but not that kind before.” Photo by Alex Lynch. On Jan. 5, senior Josh Brown was in the Capital Plaza P. Terry’s drive-through when he heard a loud crash and the employee taking his order abruptly stopped talking. 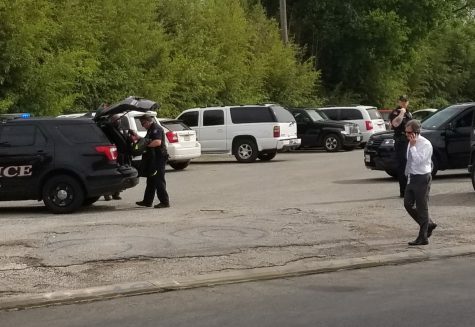 Brown left his car to see what had happened. 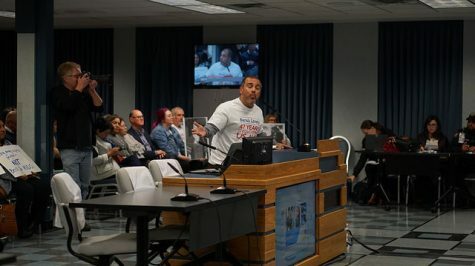 “I knew something was wrong then so I got out of my car and I went around the building where I could see and as soon as I turned the corner all I could see was this SUV completely in flames,” Brown said. The accident instantly took the lives of 15-year-old Eloy Herrera and 23-year-old Ashley Martinez. 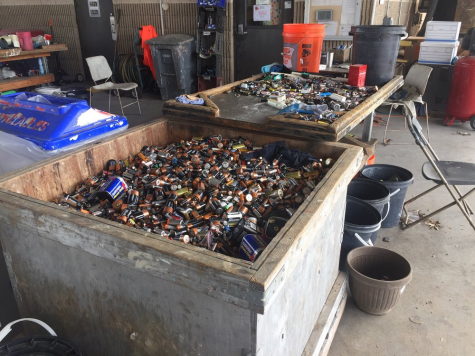 “The first thing that came to mind was how the family would feel, how hurt they would be about what was happening, and I just felt helpless.” Brown felt so devastated by the crash that he decided to try to do something to help the families involved. He was not able to get in touch with the Martinez family, but, by chance, a friend of his shared a link to a GoFundMe page made by a family member to help pay for the Ashley’s funeral expenses. Brown decided to do what he could to make sure the word got out about the accident and what people could do to help her family. Herrera’s family has also set up a GoFundMe page to raise money for Eloy’s funeral. For the links to the two GoFundMe accounts and to read our complete interview with Josh, please click the link in our bio. 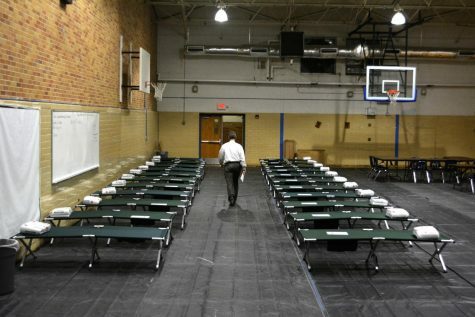 Photo and reporting by Lily McCormick. 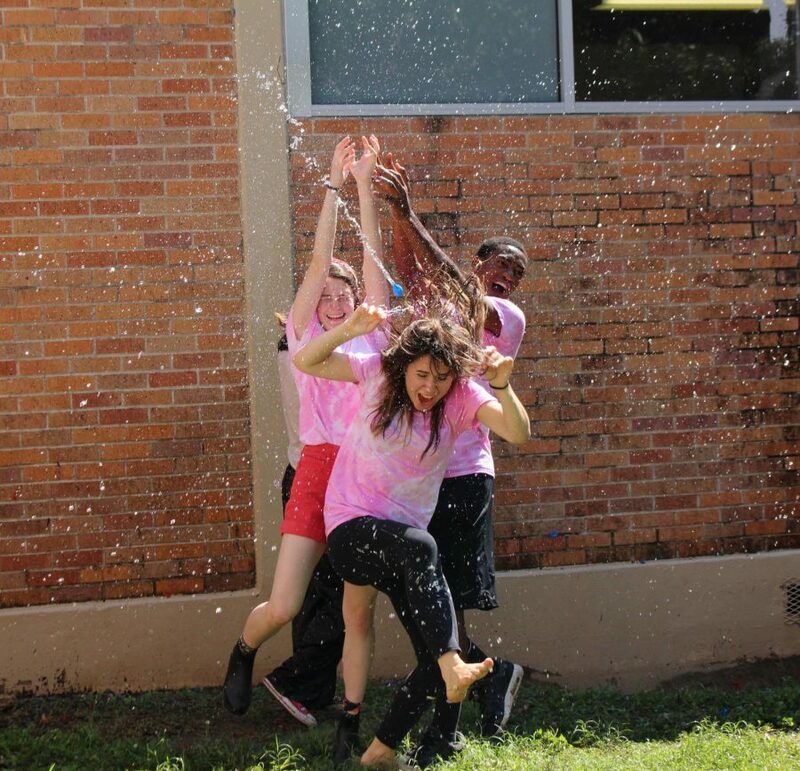 PINK WEEK BRINGS IN THE GREEN: Reaching for a launched water balloon, Anna McGuire, Jasmine Skloss-Harrison and Abraham Dietz collide during the PALlery on Thursday. “It felt like I was part of a community in a way I haven’t felt before at McCallum,” Skloss-Harrison said. Photo by Madison Olsen. 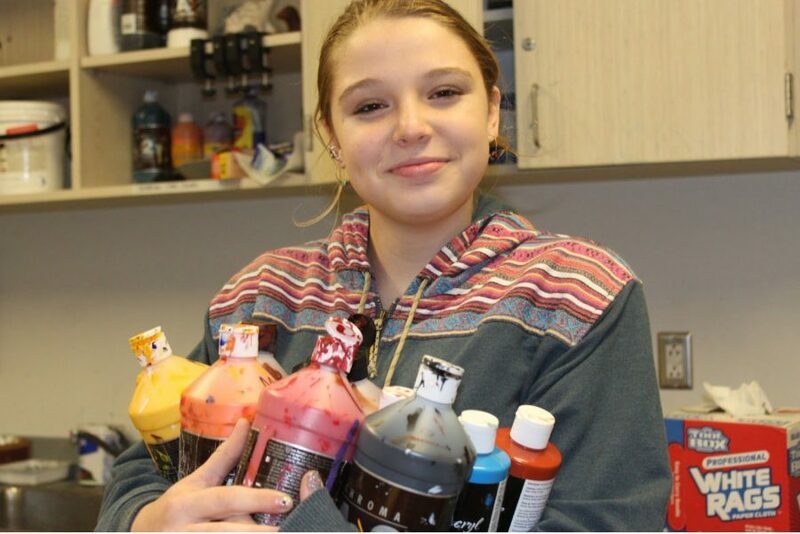 HOME IS WHERE THE ART IS: Freshman Ruby Henson finds sanctuary on the volleyball court and in the art room. She said that art is the one thing that she can go to to block out negative influences. As she put it, “I can put my crazy thoughts on paper.” Photo by Kay Villarreal. All of these photos are so amazing !